She’s the one contestant that shouldn’t be in Pakistan Idol top 24’s. That’s because she is perhaps the only one that has already made it successfully into the Pakistani music industry. She was Mohib Mirza’s recommendation to the show – some favouritism, eh? Read more to find out what we think about Sana Zulfiqar. Follow @thekarwasach on Twitter to get your latest fix on Pakistan Idol contestants or read our in-depth analysis on participating contenders. Sure, she’s scrawny as hell and seems like the likeliest of candidates to join the top 24’s but there’s a story here that no one cared to uncover. 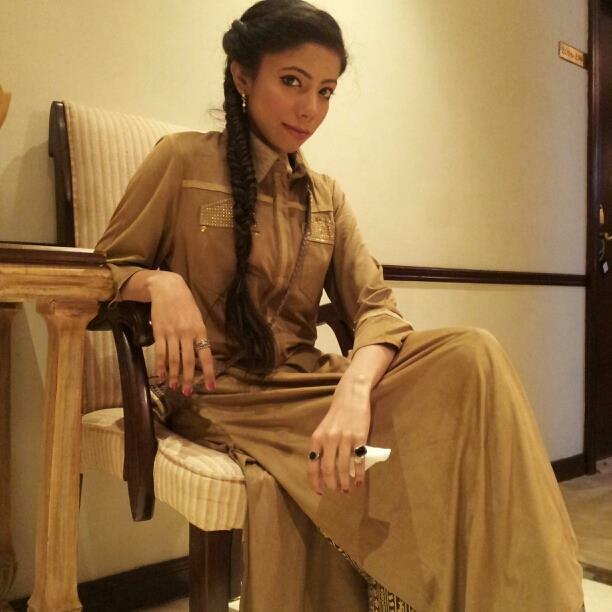 Sana Zulfiqar is already an established singer in the Pakistani music industry. She has provided her vocals for countless television series soundtracks – one of which starred Pakistan Idol host Mohib Mirza. The primary rules for the Pakistan Idol competition clearly stipulate that singers that are already established should not be a part of the show. How is it then that they made an exception in Sana’s case? Sana sang the original soundtrack for the show ‘Yeh Shaadi Nahin Ho Sakti’ alongside Sahir Ali Bagga. ARY Digital’s ‘Yeh Shaadi Nahin Ho Sakti’ featured Pakistan Idol host Mohib Mirza as the lead actor. Rumour has it that Mohib went out of his way to ask the show management to include Sana into the list of candidates, because he’d had already seen her perform elsewhere, other than on the ARY show’s title track. Sana had previously sung pop songs in collaboration with other artists. One such song that garnered acclaim for the starlet was ‘Meri Rooh’ with Qasim Dahir. Where there are a handful of people frowning upon Rosemary Mushtaq’s entry into the show (merely because she has had exposure on the Indian singing competition “Chotay Ustaad” before), they should know that Sana Zulfiqar has had more success in her career. Regardless, how would she fare in the top 24’s? Could this person be from a miserly family where a father asks his son to give up studies so the money can go towards caring for the daughter? We think Sana Zulfiqar is anything but! Sana Zulfiqar auditioned for the show from Lahore. Was it merely a coincidence that she was the first ever recipient of the Pakistan Idol’s coveted ‘golden ticket’. The introductory video played prior to her audition portrayed Sana in a rather miserly existence – a family with misfortunes looming about. According to this little snippet of dramatic story-telling, her father asks his only son to discontinue his studies so that his sister could achieve her desires and the son agrees. Sana is seen training her voice alongside her father, who is ailing. Nowhere was it ever expressed that Sana has already had a successful career in the music industry. In fact, upon asking what she did in real life, Sana answered Ali Azmat with “I sing”. Nevertheless, she chose to sing ‘Intezaar Aur Abhi’ which she incorrectly attributed to Runa Laila when it was a Lata Mangeshkar song in fact. She even named the song ‘Saanjh Ki Laali’ which is in fact the beginning of the second verse. She was abruptly interrupted by Bushra who clearly gave a verdict against her. Hadiqa thought her voice was melodic. Ali gave her a chance nevertheless only because he thought “she hasn’t had any experience in singing.” Mohib was ecstatic and Ali Azmat even escorted Sana out of the room into her father’s embrace. For her solo performance in the theatre rounds, Sana Zulfiqar was called in to perform alone (unlike all the rest of the contestants who were called in groups). She was the first to be called in to perform but there was a slight problem – she had a really sore throat. Just when it seemed she couldn’t possibly sing at all, she did rip out a melodious tune. Some even go as far as to say that she acted out her sore throat excuse to gain sympathy votes for herself. It seemed to have worked in her favour regardless. Over the course of the theatre rounds, the show tried to portray Sana, Muhammad Yasir Khan and Umer Aftab as the trio of friends that couldn’t be kept apart. Walking down the ‘green mile’ to hear the judges’ verdict about their performances in the theatre rounds, the three were called in first… again! Sana seems to always be in the firsts, I wonder why?! Let’s put our theory of firsts to the test and see if Friday night’s piano round performance has Sana performing first or not. Nevertheless, we assume that Sana has a fair (or otherwise) chance of progressing to the top 13’s. Do you agree? rosemerry is also a professional singer and has participated in some indian singing competition and she didnt mention it as well. so what if she has sung professionally? she is a goog singer and its a singing competition. she has full right to participate. Rosemary may be a professional singer but apart from the ‘Maa’ song she sung for PTV, is there any other song that has led Rosemary into a contract with a media conglomerate. Sana, on the other hand, has not only released songs in collaboration with other singers but is also in contract with ARY Digital and Geo TV for soundtracks for past and upcoming shows.